HEALTH & SPA AWARD: The nominations for the European HEALTH & SPA AWARD 2016 are announced! The nominations for the European HEALTH & SPA AWARD 2016 are announced! 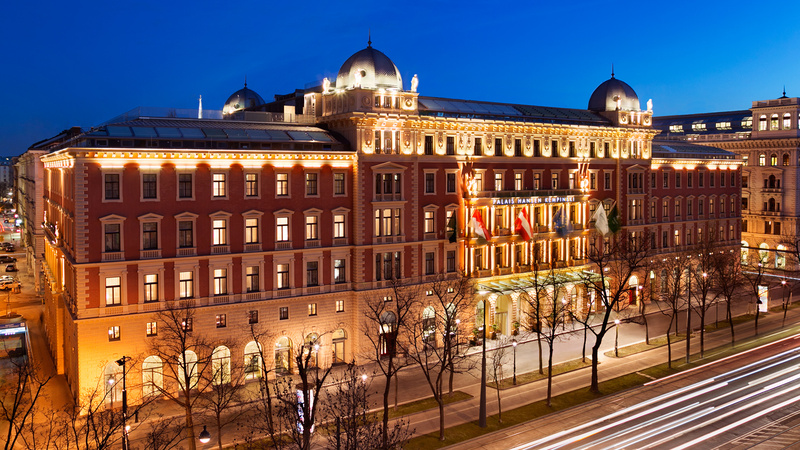 Vienna, September 1, 2016 - The 8th time the ceremony of the European HEALTH & SPA AWARDs now held in the name of the Agency for Health & Wellness. The winners and all nominees will be awarded on September 15, 2016 at the Palais Hansen Kempinski in Vienna on the annual gala evening. The award is regarded as the only independent awards for health and Spa innovations and Spa Manager throughout Europe. Participants could submit in nine possible categories and thereby their sovereignty demonstrated quality of their work in the wellness industry. Only 37 nominees succeeded this year to be named on the list of numerous submissions. The categories included the best employees and the best treatments, as well an establishment Spa facility and latest innovations in the fields of technology and beauty. The mystery check made by anonymous testers, which constitutes the main part of the overall evaluation of the selection process for the best submitted product, hotel or spa in the respective category this year again. In addition to an award and a media presence to a total of 3,000 EUR, the total amount endows almost 30.000 EUR. The best entries will be rewarded for this purpose at the annual gala evening in Vienna and awarded with the European HEALTH & SPA AWARD. These will take place on September 15, 2016 at the Palais Hansen Kempinski and invites the top of the European wellness business with the high-level company representatives. The evening will be accompanied by the enchanting ORF presenter Olivia Peter. So are among the heads of lots of top manager and celebrities. Not by accident, the lucrative award of the Agency for Health & Wellness is compared with the "Oscar” in the film industry. Aim of the institution is to reward outstanding achievements and innovations in the industry, as well as to announce the quality of individual wellness and their innovations across Europe. Important is not only the quality status quo of a company, but also how far this can contribute to secure the future of the operation. Not just a team of skilled and passionate mystery tester was helpful in assessing undeniably high quality standards, the jury of experts, leaders and individuals in business and the media were also important to assess. For both parties, eight individual categories were crucial for the eventual evaluation: design & technology, health, offer & service, benefits, economy, sustainability, creativity and corporate social responsibility (CSR), should be held up as the according standards of the Agency for Health & Wellness to any company. Since 2013, the final score of the participants is also supplemented awarded by "Brilliants" from a certain number of points. Companies can get 1 to 4 brilliants according to the points. This should help to differentiate an achieved high performance, as well as to communicate a more vivid form of the award to the guests. At the same time this year, also one of the partners of the awards, WELLNESS WORLD Business celebrates also the 10 anniversary. There is also a great musical program by the "Paul Temmel Quartet". You will get further information later on through the web site. If you want to be among the best of the best of our European wellness companies, you are cordially invited to join us on our gala evening. You will find the registration for the event on the website of the European HEALTH & SPA AWARD or by following this link. We ask all journalists and blogger for accreditation via email infoathealth-spa-award.com! The photos are free of charge for editorial publication! Please cite the copyright. If you like, you can forward this information to interested editors.